Only half of adults would feel confident about offering first aid if they witnessed somebody falling unwell, according to the British Red Cross. What is the minimum first-aid provision required for a worksite? 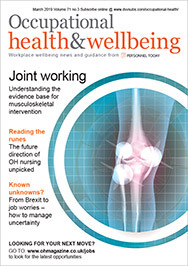 Are employers legally obliged to provide all employees with first-aid training? A survey of more than 2,000 people ahead of World First Aid Day, which took place on 8 September, found that 70% of people would worry about making the situation worse or doing something wrong if they attempted first aid. Only 4% were confident that they knew the first aid skills needed to save a life and would be likely to help someone in three of the most life-threatening scenarios. These include: heavy bleeding, someone who is unresponsive and breathing, and somebody who is unresponsive and not breathing. Despite only half feeling confident enough to attempt first aid, 88% of the survey’s respondents said they would want somebody to help them if they became unwell. Joe Mulligan, head of first aid at the British Red Cross, said: “We would all want someone to come to our aid if we were injured or ill, but the fact that so few people feel they have the knowledge and confidence to step in and help in the most serious first aid scenarios is concerning. 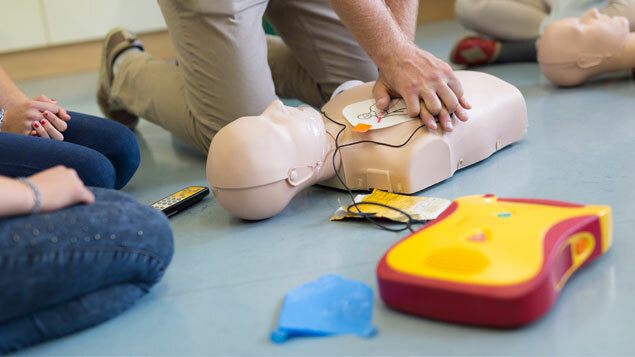 The British Red Cross is campaigning for first aid to be integrated into the school curriculum, as earlier this year it discovered seven in 10 adults would not know what to do if they found somebody who had collapsed. The government has announced draft plans to make first aid education mandatory at both primary and secondary schools in order to increase the number of people able to assist before professional medical help arrives.